The marketing and customer engagement world is undergoing major change as enterprises work to align inbound and outbound communication while incorporating cutting-edge tools into their digital stacks. You have more choices than ever, but also face more technical complexity, as vendors offer frequently overlapping toolsets with vague monikers. What’s the right fit for you? 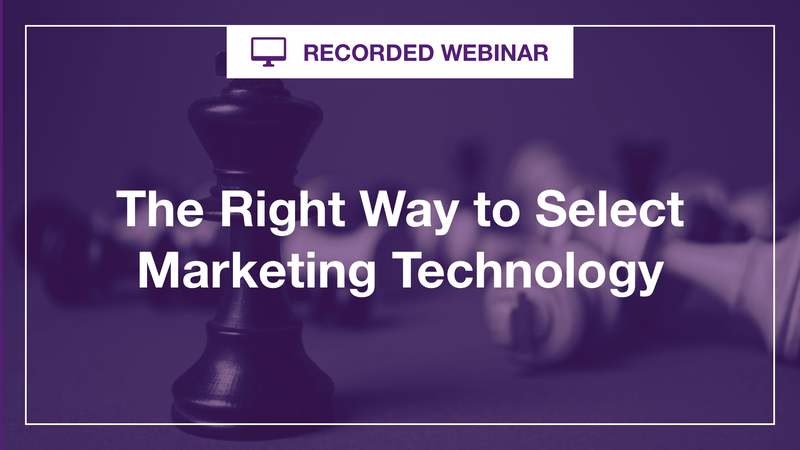 Based on RSG’s tough, comprehensive vendor evaluation research, this recorded session will help you clarify your needs and simplify your choices, saving you time and headaches going forward. Key trends that are shaping the marketplace, and how they affect your technology choices. Critical overview of key players. Methodology for making the best buying decisions for your particular circumstances.